*In case Prof. Dr. Pelissier may not be able to attend, Dr. Filippo Dionigi will be the new chair. A fair amount of the official statements from governments, media coverage, as well as policy analysis undertaken by think-tanks in the West, have tended to perceive the Arab Revolutions as manifestations of long repressed desires for human rights and individual dignity. The – rather unproblematic- remedy for those localities then become Western-style liberal democracies and free market economies. Various critical observers have been skeptical of such interpretive dispositions, and tended to view them as appropriations of a Liberal Reason which respects no epistemic or ethical boundaries. The paper seeks to clarify what is at stake in those starkly different positions. No doubt, when observers interpret the Arab Revolutions in a vocabulary of human rights, democracy, and secularism derived from the Western experience of secular modernity, this may obscure the ontotheological roots of such notions themselves. It is far from clear that the language of human rights is easily translatable to cultural settings rooted in Islamic cosmologies. However, rather than lapsing into a facile relativism, what I would like to do in this paper, is to explore the possibilities of inter-cultural communication that is attentive to the inherent power/knowledge nexus, but at the same time seeks communicative openings, and even commonalities in how contested signifiers such as human rights are understood. The right to freedom of expression as stated in Article 19 of the Universal Declaration of Human Rights(UDHR) and the International Covenant on Civil and Political Rights(ICCPR), which is subject to limitations to be determined by law, as stated in Article 29 of the UDHR and Article 19 of ICCPR. In practice questions were raised concerning the right to freedom of expression, namely: Does the depiction of Prophet Muhammad, in the west, constitute an abuse of the right to freedom of expression, in international Human Rights Law and Islamic Law “Sharia”? And if so, did the concerned states fulfill their international obligations with this regard? On the other side, was Muslims’ reaction Consistent with the provisions of Islamic law and international law? The answer of the above mentioned questions will be the subject matter of a paper that will try to shed light on the depiction of Prophet Muhammad in the west in accordance to International Human Rights Law and Sharia Law. Over the past decade, international efforts of strengthening and promoting the Rule of Law have increasingly tried to reform informal dispute resolution mechanisms, called shalish are informal legal mechanisms in Bangladesh. Similar to Indian panchayats, these village courts negotiate and rule in all kinds of conflicts, ranging from petty disputes to violent crimes. In the normative evaluation of shalish by international donor agencies a peculiar dichotomy emerges: on the one hand, shalish is seen as a ‘local’ and ‘authentic’ alternative to the alien and corrupt state and its justice system, which is incapable of delivering justice to the poor and marginalised. On the other hand, shalish is also seen as a regressive institution, perpetuating patriarchy and being the obstacle to women’s right in rural Bangladesh. Whereas in the first case, the notion of shalish is conceptually linked to human rights, the rule of law, and democracy, in the second case, it is portrayed as a manifestation of Islamic fundamentalism. Thus, at the international level, ‘good governance’ is constituted as a secular moral order that is defined against Islam. After having reconstructed this secular development discourse, my paper is going to show how this juxtaposition of Islam and Human Rights dissolves on grassroots levels in Bangladesh, where NGO staff (often on the payrolls of international donor agencies), translate this dichotomy into a contestation over who has the right to interpret Islamic principles themselves. In these contestations, the notion of ‘religion’ as antithesis to the moral order of ‘good governance’ that emanates from Western donors disappears entirely. 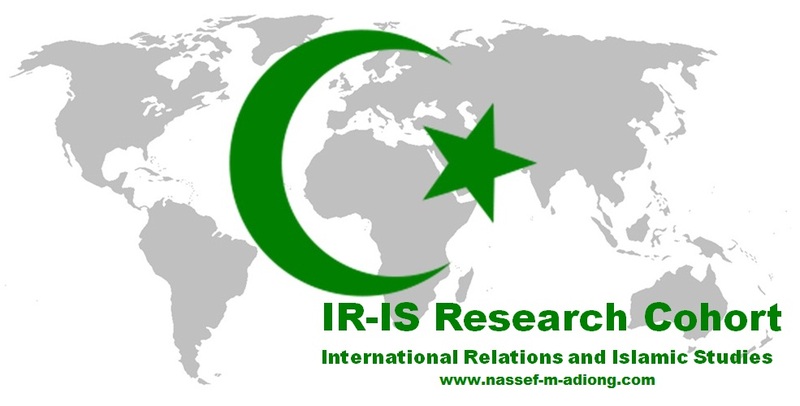 International relations though not a new field for the Muslim world holds added significance and it has been struggling for reordering the world particularly in the 21st century. Relations between communities, nations, religions are being redefined in the present century, in particular after the incident of 9/11. The racist tendencies and Islamophobia challenges the exercise of fundamental human rights and freedoms particularly in Europe. In eliminating such discrimination, many states of the world still experience new and rising waves of biasness, hate, alienation and racist violence. Unipolarism, abuse of power, military and nuclear deterrence and control over the world resources are the hot issues of the present day inside the nations of the world. The need for the mutual understanding and tolerance among varying people and religions of the world has increased in the present age, shrinking distances and looming dangers. Nowadays questions have been raised about Islam and its compatibility with other religions. Today globalization, faster communication, weapons of mass destruction, war against terrorism etc. have highly influenced the religions. Islam believes in tolerance, peaceful coexistence, respect of humanity and, all other religions and their followers and having a role model of a civilized society. The perception of most of the European IR scholars about Islam is unfortunately not clear and after 9/11 the misperception has further increased. On the other hand, a large number of Muslim scholars have ignored the essential role of modern IR scholars in the society and human development. Unfortunately, a part of Western media broadcasts negative images of Islam and Muslims. All this provides some useful grounds for racist discrimination and Islamophobia in the West. In addition, majority of European governments do not track the record of anti-Muslim incidents via their official complaint system. This study examines the rise of anti-Muslim and anti-Islamic racism in Western countries.